Update June 6 2013. The latest update will continue to be free for a while until you can all update to the most recent version. This will probably be the last version of this pattern to download. It has now been thoroughly tech edited by Katherine Vaughan. Not much has changed other than some crossing the i’s and dotting the t’s but we did add cm to all measurements and cleaned up the text a bit for a shorter print out. 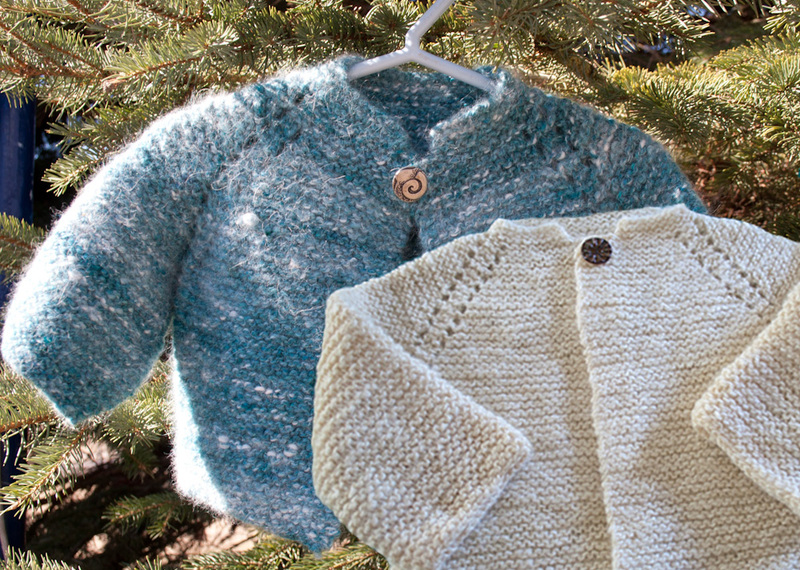 While here please check out my newly release pattern the Top Down No Sew Hoodie for Kids. 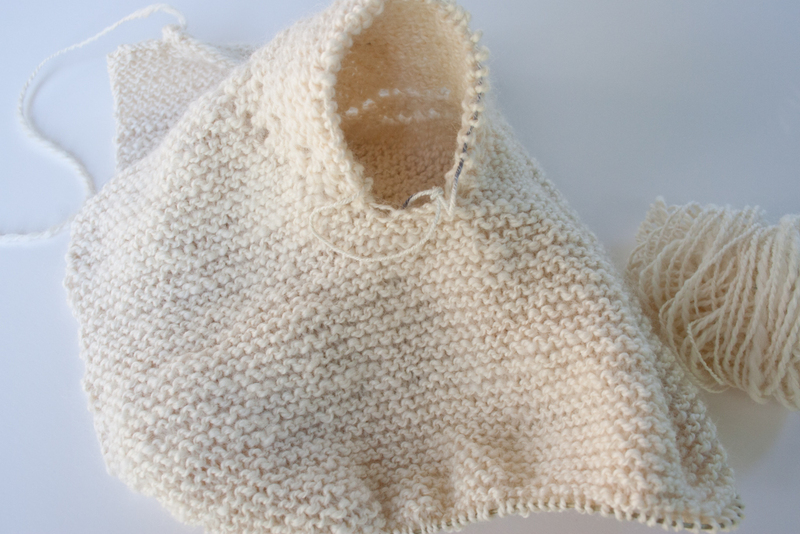 A versatile raglan that kids love to wear and I love to knit. An all new construction approach that makes this one a meditation. Lots of variations and an afterthought kangaroo pouch are included. For Boys or Girls in sizes newborn to 2 years old. This is an easy project for beginners. 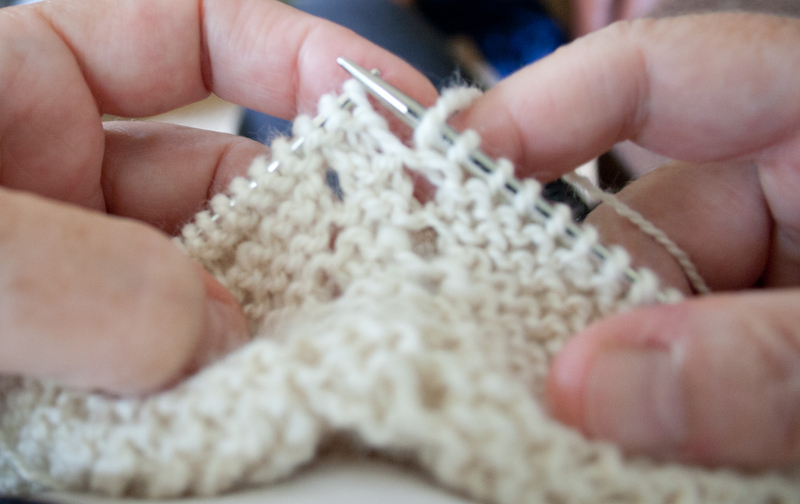 You will need to know how to do knit and purl stitches as well as Yarn over. 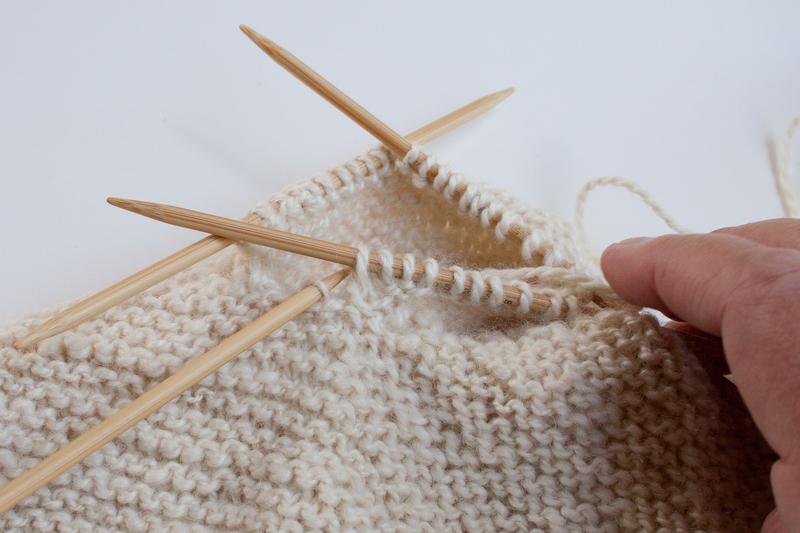 Knitting on 4 double pointed needles for the No Sew sleeves is optional. You start at the top, with the collar and knit down. All FUN! Category: Knitting Patterns, Free Knitting Patterns. 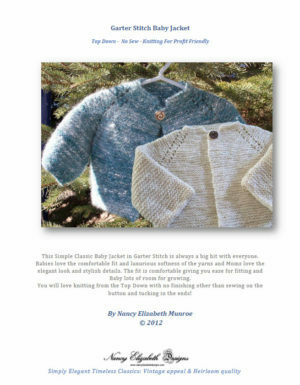 Tags: Angora, Silk, Baby, Baby Pattern, Baby Sweater Knitting Pattern, Blend, Free knitting patterns, Handknit, Knitting Pattern, Merino Wool, Pullover, Sweater. Back to Basics. This design is timeless and classic. It will always be in fashion. 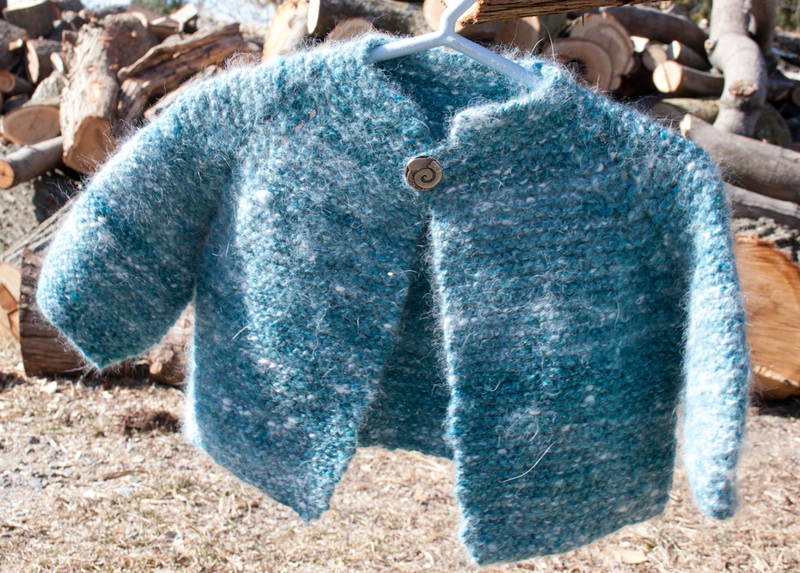 Knit this pattern in a luxury fiber for the new baby and keep it for the next generation. 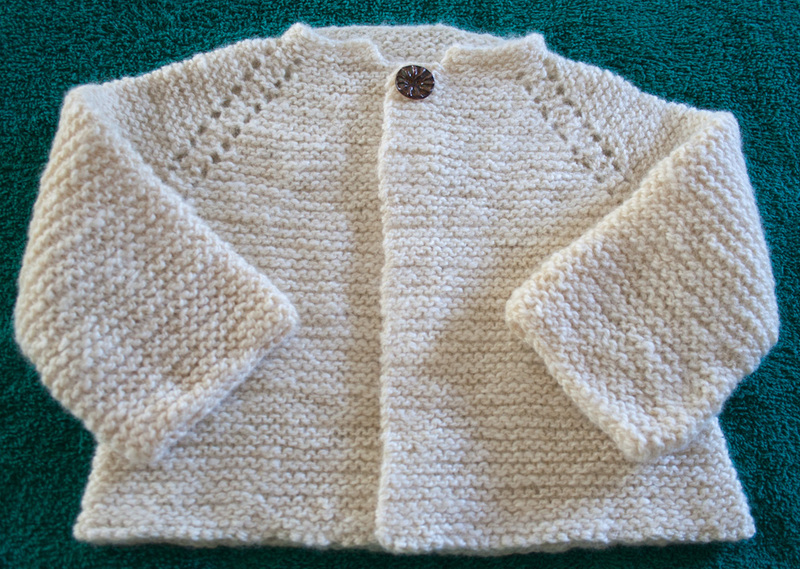 This little sweater design has been my go-to project whenever I have needed a baby sweater since the 70’s. My children all had several versions, as did most of my foster children and now my grandchildren have each had one or two. 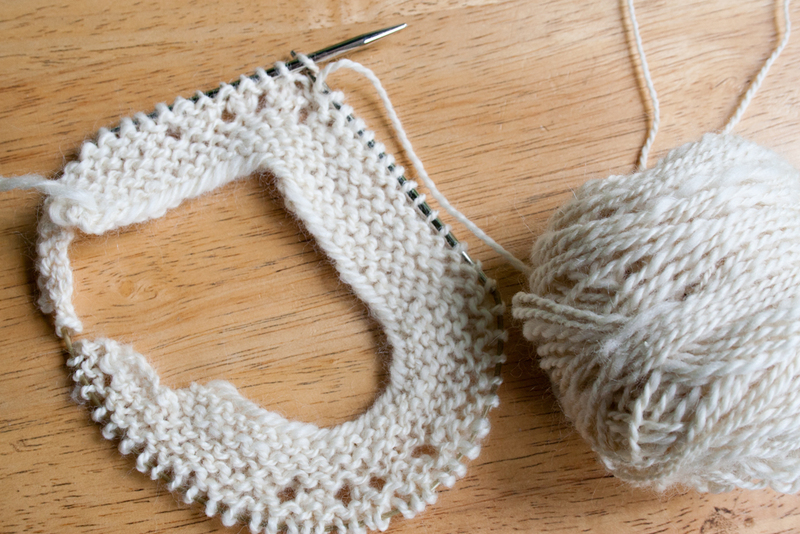 It is so easy to knit from the top down giving you total control to try on and adjust if necessary. You work the collar then yoke to the underarm and divide the sleeves from the body. Each is worked separately, in the round, with no sewing or finishing except to sew on the buttton when you wash and block. The actual pattern has evolved over the years and was always just in my head so I thought it was time to write it down. Here it is, as simple and practical as I could make it and it’s still as cute as can be. As with all of my patterns I’ve chosen a yarn in a very common gauge so that your yarn substitutions will be easy to make. 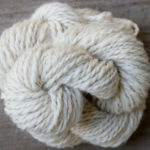 Be sure to choose a very soft and luxurious natural fiber yarn. The simple design will make your luxury yarn “sing”. 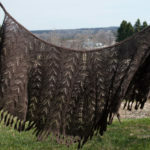 It is especially lovely in handspun yarn which can be purchased at my web site or my Etsy store. Just mention the pattern and I’ll spin it with this design in mind. 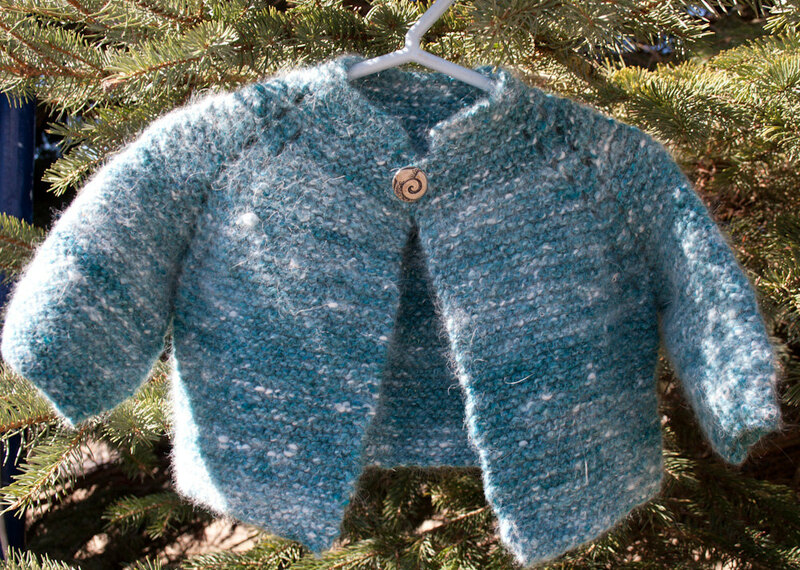 This Simple Classic Baby Jacket in Garter Stitch is always a big hit with everyone. 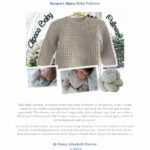 Babies love the comfortable fit and luxurious softness of the yarns and Moms love the elegant look and stylish details. The fit is comfortable giving you ease for fitting and Baby lots of room for growing. 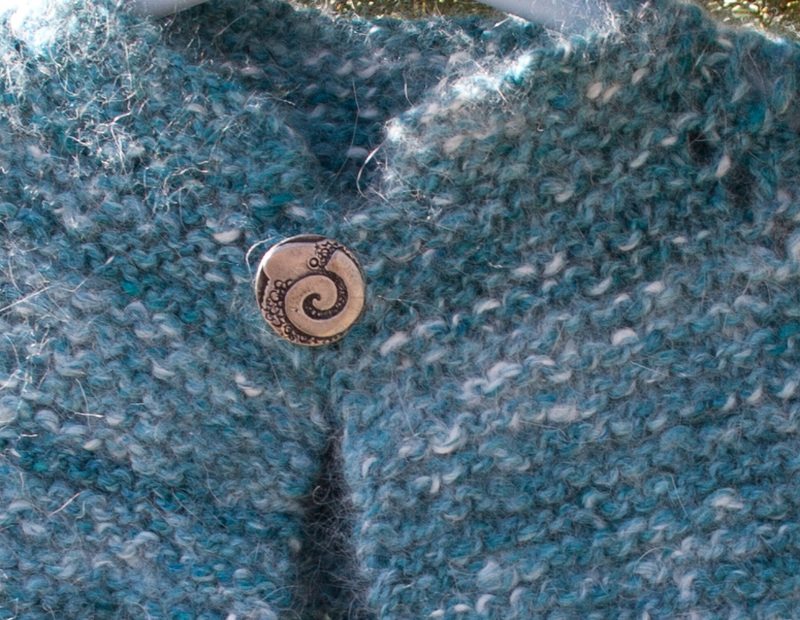 You will love knitting from the Top Down with no finishing other than sewing on the button and tucking in the ends! I hope that you enjoy knitting this pattern and using the finished garment as you please. 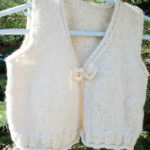 Please feel free to wear, gift or sell the garments you knit using this pattern. I would really appreciate being acknowledged as the designer. This garment is designed with lots of ease for an easy fit and longer wear. Im having trouble with markers & increasing in the right place. Any advice?